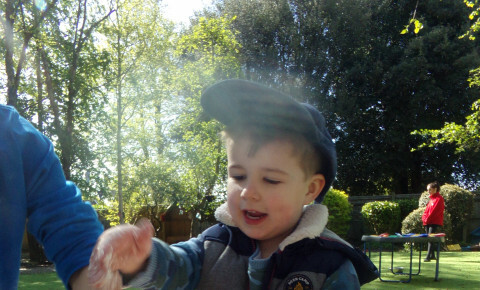 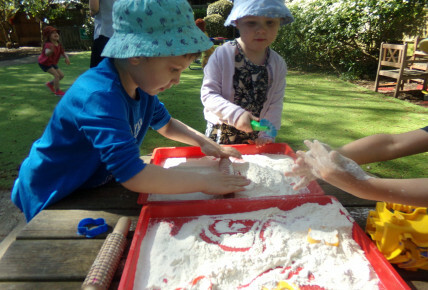 The children in seahorses loved exploring the flour in the garden. 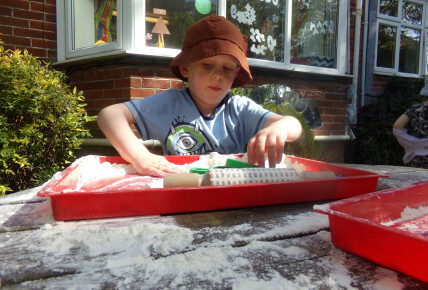 They used tools and play dough cutters to make marks and shapes. 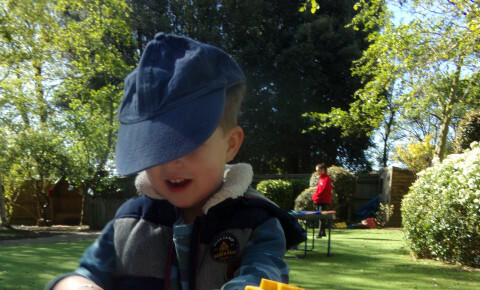 We then extended the activity and used our fingers to write familiar letters of our names.